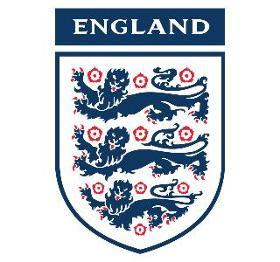 The England national football team represents England in international association football and is controlled by the Football Association, the governing body for football in England. Although most national teams worldwide represent a sovereign state, the four Home Nations which form the United Kingdom are each represented separately in international tournaments. England's home ground is Wembley Stadium in London and their head coach is Fabio Capello. England are one of seven national teams to have won the FIFA World Cup, which they did in 1966 when they hosted the finals. They defeated West Germany 4–2 in extra time in the final. Since then their best performance at a World Cup was reaching the semi-finals in 1990, where they lost to West Germany on penalties. They reached the semi-finals of the UEFA European Championship in 1968 and 1996. They were the most successful of the home nations in the British Home Championship with 54 wins (including 20 shared wins) before the competition was suspended in 1984. They remain a prominent team on the global stage, rarely dropping outside of the top ten on both the FIFA and Elo rankings. Traditionally, England's greatest rivals have been Scotland, who were their opponents in the first-ever international football match in 1870. Rivalries with other countries have become more prominent since regular fixtures against Scotland came to an end in the late 1980s. Matches against Argentina and Germany have produced particularly eventful encounters.